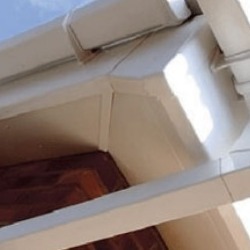 Our Black Square Gutter is manufactured by FloPlast, the market leader in the UK. Black Square Gutters combine a traditional colour with a modern appearance which is one of the reasons that this style has become so popular. The shiny gloss finish of black square guttering does resemble the old style cast iron box downpipes that are still found in high numbers in the London area. A wipe down once a year with a soft cloth and soapy water is all that is required to maintain the deep colour finish on black gutters. 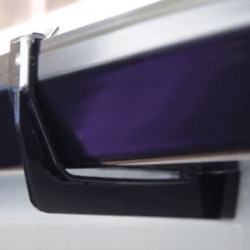 Our wide range of black square gutter products comes with a 10 year colour guarantee. 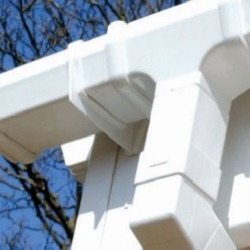 Want some advice on how to install your Square Gutters, or interested in finding out more about our product range, take a look at our guides & tips.